There are a number of problems and difficulties with private practice – there is no support network, nobody to turn to for help or support, and the difficulties of attracting clients and running and promoting a clinic. As an acupuncture or tui na practitioner (or any kind of holistic therapist) you need a great deal of self-reliance and resilience, and it can sometimes feel lonely or even quite scary. Plus, it’s easy for your skills and knowledge to get rusty over time. Professional Mentoring and Coaching is the answer – it provides a supportive structure to enable you to develop as a practitioner, and get impartial help, guidance and advice on all aspects of your practice. When you work in a caring profession, you spend a lot of time giving, and it’s important to also have support for yourself, especially when you work on your own. 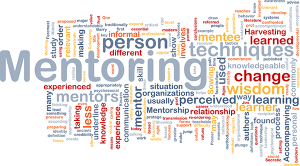 Mentoring provides an opportunity for you to explore and resolve any issues that arise in or around your practice. You get a supportive, non-judgmental ear, emotional support and motivation, and of course plenty of practical guidance and advice. Mentoring helps you through the ongoing process of self-development and growth as a practitioner, increasing your self-esteem, confidence, and communication skills. At the same time, practical coaching helps you to hone your diagnostic and therapeutic skills so you can improve your clinical outcomes, and build a successful and enjoyable practice. If you’re involved in the practice of Chinese medicine, then this could be for you. I am happy to work with acupuncturists, tui na practitioners, and others involved in Chinese medicine in any way. Professional mentoring and coaching is suitable for you whether you’re newly qualified or have years of experience under your belt. We all need support, supervision and motivation, and mentoring is the ideal way to put those needs into a more formal format. Mentoring and coaching sessions are 1 hour long, and can be carried out either in person (at one of my Bristol or S. Wales clinics) or, if you’re not in my part of the world, by Skype. You can have a one off session whenever you need one, but you’ll get the best out of it with ongoing mentoring – in that way we get to know each other, and can develop a good working relationship together. You can choose the frequency of your sessions, anything from one per quarter to one per week! In practice, most people find that once per month is about right. If there are specific things you’d like to work on in your mentoring session and you let me know by email in advance, then I can prepare for them, so that you get the best from the session. I’ll also follow up after the session with a brief email summary of everything we discussed, so that you can easily remember the key points. Mentoring sessions are relaxed, friendly and supportive and everything you share is 100% confidential. You will have a safe place to express your thoughts and feelings and get help and advice, with no judgements or ‘telling off’. The whole point is that you feel comfortable to voice your goals, aims, fears and concerns, and talk through difficult issues or encounters with a impartial, experienced and understanding 3rd party. The exact structure of the session depends on your needs at any given time. If you’re looking to learn something new, or improve your understanding on a specific topic, I may be more in ‘teaching’ mode. Or if you just need to unload, I might do a lot more listening. Normally there will be a natural back and forth as we discuss and explore the issues that are important to you at the time. The most important thing is – it’s your session, and you’ll get whatever you need! It’s very easy to get started. You can book your first mentoring session right now – just contact me to book a suitable time slot, or if you have any questions at all. I look forward to hearing from you!